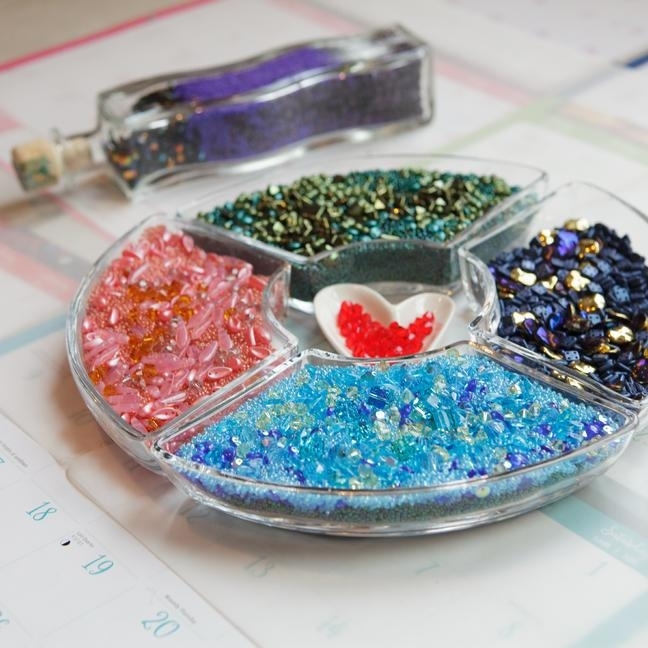 Since January of 2000, Beads of the Month Clubs have been helping beaders across America build and complete their bead collections, from the comfort of their own homes! April shipments are going out now, with May shipments to start soon, so make sure to sign up now and get your FREE Swarovski Crystal Bonus sent with your first shipment. Simply find your favorite club (or clubs) from the sidebar to the left and sign up to begin receiving your monthly shipment. There is no minimum to buy and no commitment! We will be sending you a specific number of tubes (based on the club you select) filled with your favorite beads in a color coordinated collection. Each Club comes in two sizes so you can choose how much you receive of each bead. When you order a Double Collection, you gain additional savings! By being a club member, you will not only experience the convenience of having a color coordinated collection of your favorite beads delivered directly to your home every month, but you will also receive AT LEAST a 10% discount off the retail cost of those beads! PLUS, you'll get access to our FREE pattern page each month to download new patterns that will help you learn new techniques and inspire you! Have questions? Looking to make changes to your account? Visit the page below to view our FAQ page!